What started as a winemaking venture in Glengarry Road, Auckland has now developed into New Zealand's largest family-owned liquor retailer, with 17 stores throughout the country. Started by Joseph Jakicevich in 1940 Glengarry was New Zealand's first retailer to hold a liquor licence, importing wine from around the world when we were all still drinking locally made 'hock'. Yip, we like to think we changed the way we all drink. This site is an extension of what we already do, and shows, in bouncy, moving bits our great selection of wines, global beer brands and premium spirits, glassware, accessories and gifts. It's not just product-driven, either- there's a tonne of great information here as well. The site has been designed and based on feedback from our existing online customers so while we think it looks great, it's intuitive and easy to use. Happy roaming. It is the year 1899, the dawn of the 20th Century and across the world preparations are being made to welcome the new millennium and everywhere there is an air of anticipation. In the mountain village of Vrgorac Dalmatia the Jakicevich family too is waiting in anticipation, not for the new millennium but for an addition to the family. The new born, a son was named Josef. 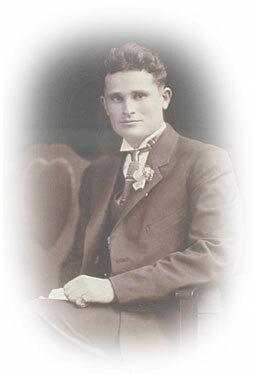 At the age of twenty Josef migrated to New Zealand. Here he founded Glengarry Wines and a New Zealand dynasty that is vigorously pursuing his dream. To understand what led Josef to New Zealand requires an appreciation of the circumstances in his native Croatia. The countries of the Balkans Peninsula, strategically located in south-eastern Europe, have been quarreled, fought over, invaded and controlled many times over the centuries. In its troubled history, national boundaries and alliances, as recent history has so vividly illustrated, have changed frequently leaving a legacy of instability. In the late 19th century the region was a cauldron of unrest with the outbreak of regional wars for possession of territories that led eventually to the outbreak of World War I when the Austrian Archduke Ferdinand was assassinated in Sarajevo. After the World War I the feuding in the Balkan States continued and for a young man growing up in such uncertain and hazardous times the future held little promise. Like many young men of his generation Josef decided to find a better life elsewhere.